I'm a content marketer and digital strategist, living and working in London, England. You can see some examples of the content I've worked on below. Client: Borro, an asset lender who specialise in luxury items like watches, sports cars and antiques. 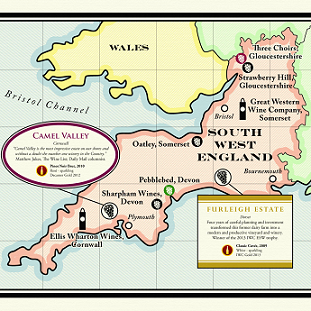 Content: A Wine Lover’s Guide to the UK – A map that shows key locations involved in UK winemaking – vineyards, wineries, shops, as well as some key info on the British wine industry. My role with this content involved taking charge of the outreach process. The first phase of outreach involved contacting the vineyards and wineries included on the map as well as wine-related news and blog sites. The second phase of outreach involved me looking for more lateral link opportunities such as tourist websites, blogs about British made products and sites that showcase maps and infographics. Results: We achieved over 50 high quality backlinks including links from industry news sites, wine retailers and bloggers.